More than seven years of research has led to ISET (Isolation by Size of Tumor cells). 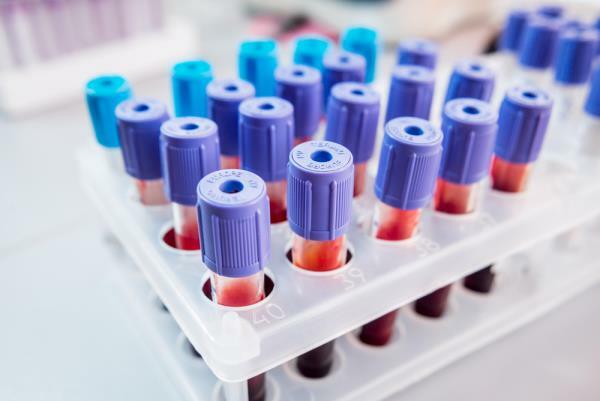 It’s a test that can detect the presence of circulating tumor cells in just a 10 ml sample of blood and it was developed by a French cancer specialist, Patrizia Paterlini-Bréchot, who works at the Hôpital Necker-Enfants malades in Paris. It is applicable to all forms of cancer. Hailed as a breakthrough it is on its way to mass-market use in France. It detects tumour cells circulating in the blood long before they mutate and metastases occur. When they mutate, cancer cells become more and more resistant to orthodox medicine the researchers claim. So by detecting cancer early, treatments have far more chance of working. When tumour cells are detected, scans and targeted imaging show up the tumour location. However, the researchers hope next to be able to identify proteins in the test which will tell the Doctors the exact tissue location. The test costs 486 euros and can be very useful for patients in remission. Studies were done on animals and then on humans. In one study at Nice Hospital, six people with high risk of cancer were tested and cancer cells detected. All were treated and totally cleared of the disease. Ed: This test is HUGE. Chris Woollams has long argued, for example in his best selling book, Everything you Need to Know to Help you Beat Cancer, that the future of cancer ideally lies in Cancer prevention. But if Health Authorities and the Public are not going to take all the necessary steps, the next best thing is ‘Early Detection and a powerful but Non-Invasive Treatment’. In the book he has long argued that the various new tests, largely being developed privately would be superseded by a single early all-cancer test. When small tumours were identified they would be dissolved by localised hyperthermia (techniques like HIFU and the Nanoknife) with treatments lasting between ten minutes and two days. The scare would then alert people to the need to live more healthily. Cancer prevention after cancer. Unfortunately, an effective early test will drastically reduce the need for current tests like mammography (and all that expensive machinery), and a high per centage of Big Pharma’s drug volume. So a lot of people will be dismissive of these French tests and they will not be adopted readily. Much the same as the testing and introduction of localised hyperthermia has been fraught with false criticism and delay. Don’t expect this new test to come in overnight.